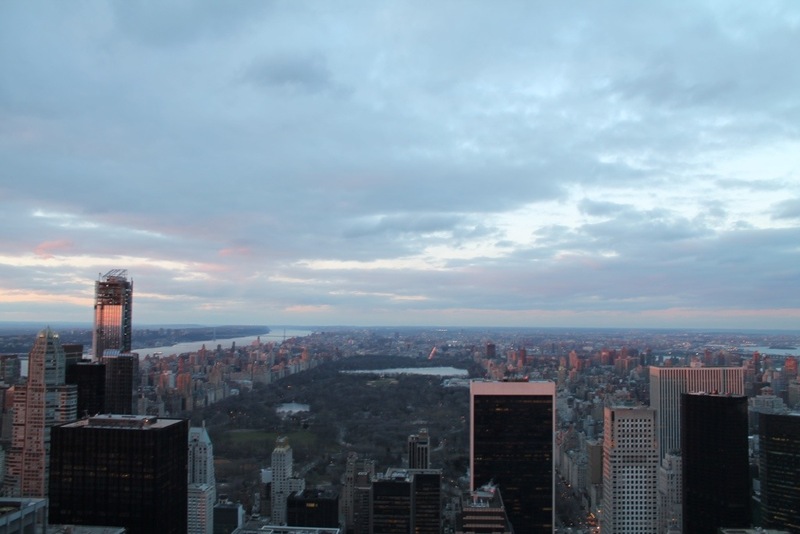 Here is day 6, the last full day (friday the 22nd of March) of our New York trip! 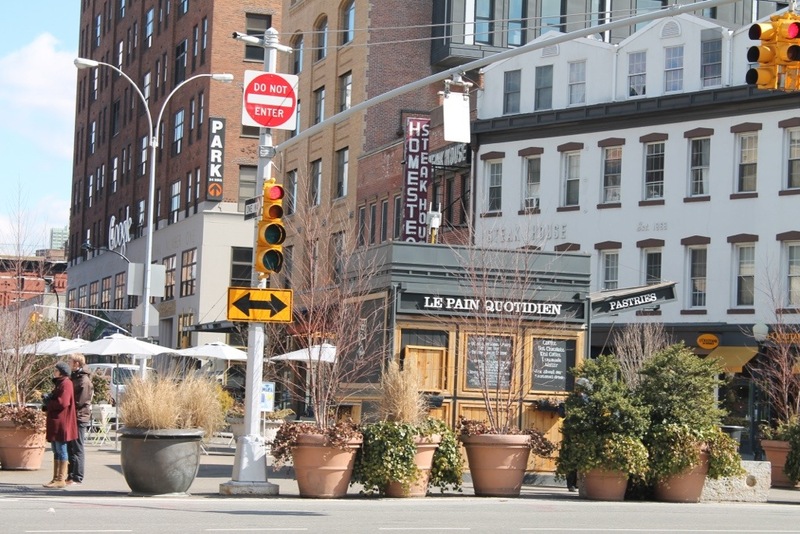 First we got a little breakfast before going on our trip to the High Line. 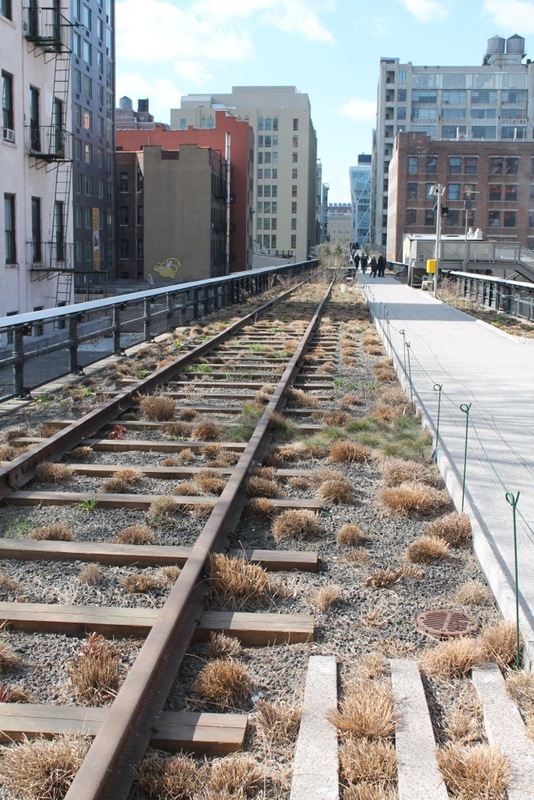 The High Line is pretty new, it’s an old railroad that they transformed to a walking path. 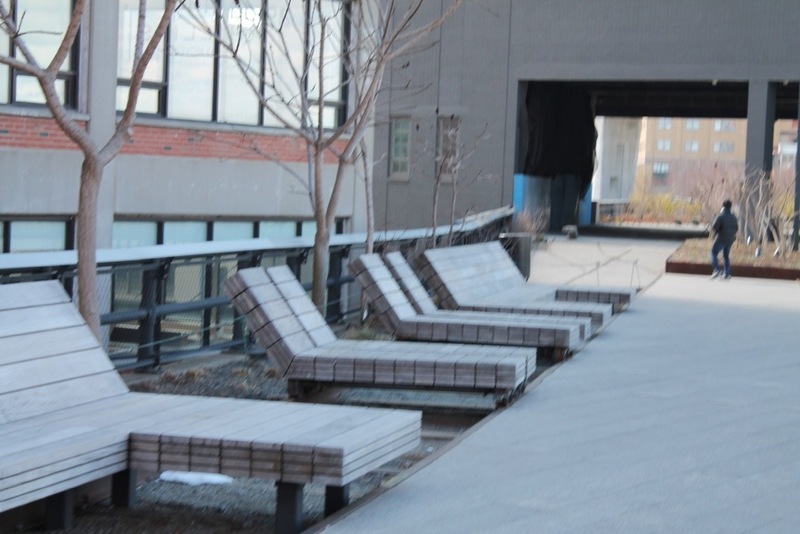 It’s a little green oases in the big city. When the weather is better you can find a lot of people who are from, or work in the neighborhood eating their lunch here. 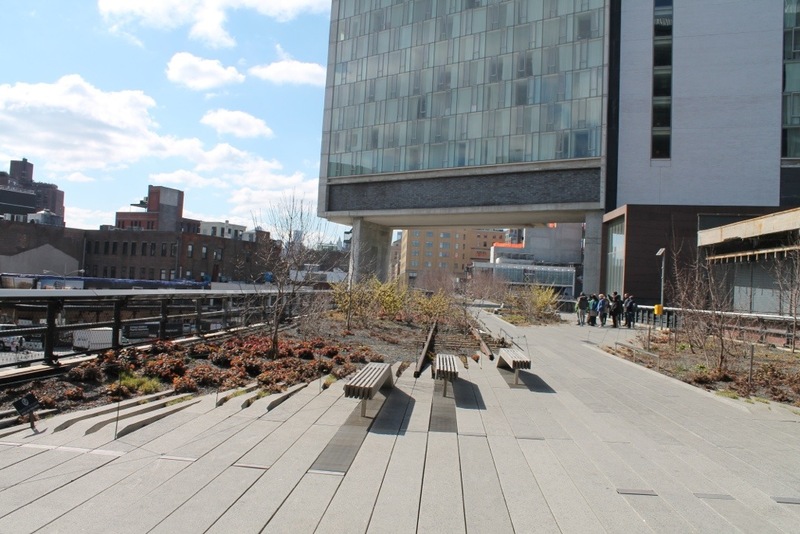 The High Line is quit long as it stretches from 30th street (& 10th Ave.) to Gansevoort street. 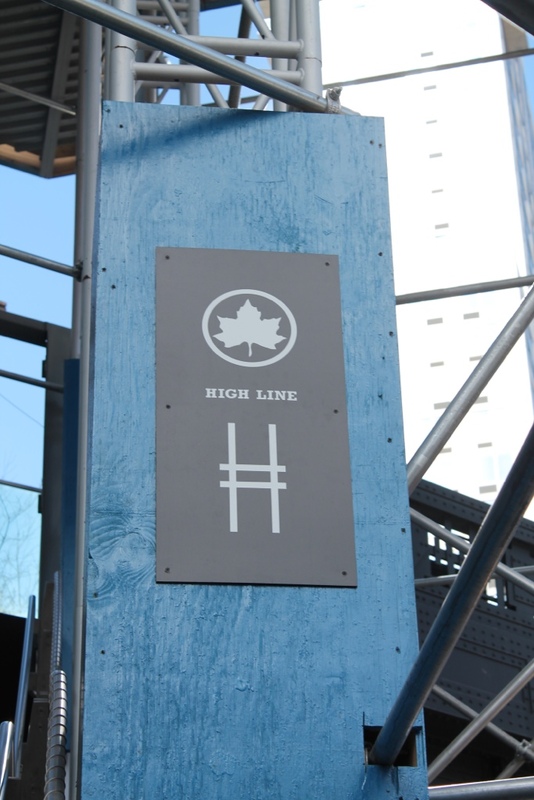 There are also other locations from where you can get on and of the High Line. 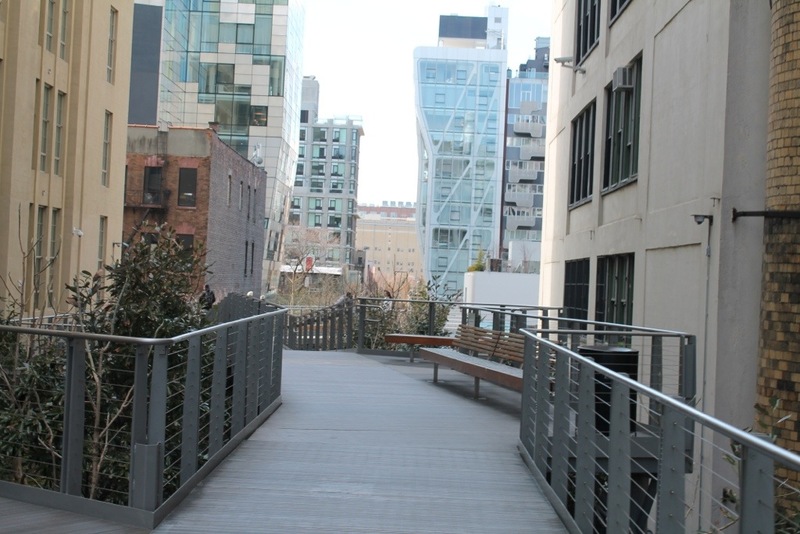 We went from 30th street all the way down to Gansevoort street where we went on to go to a metro station. 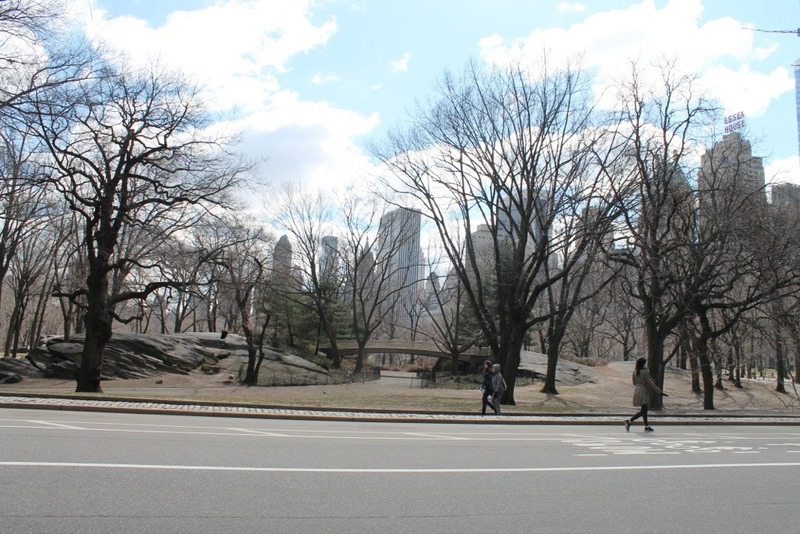 From there on we got to Central Park. 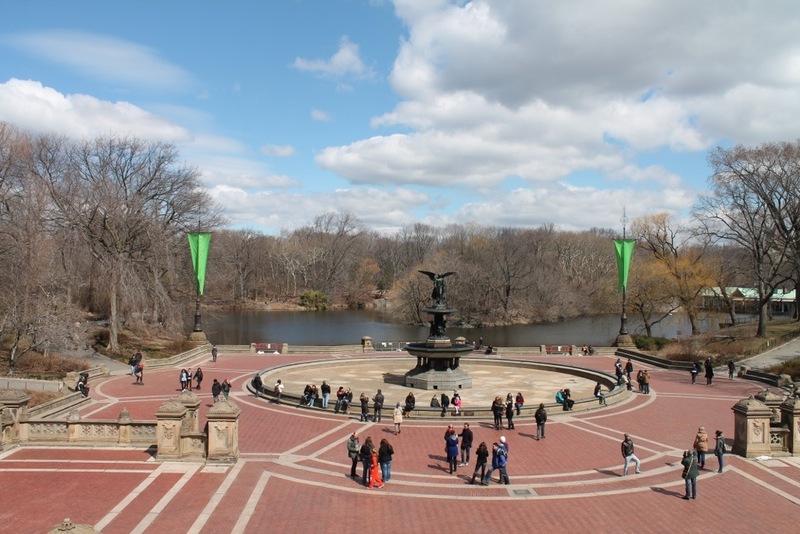 Here, we also ha a great walk trough Central Park. 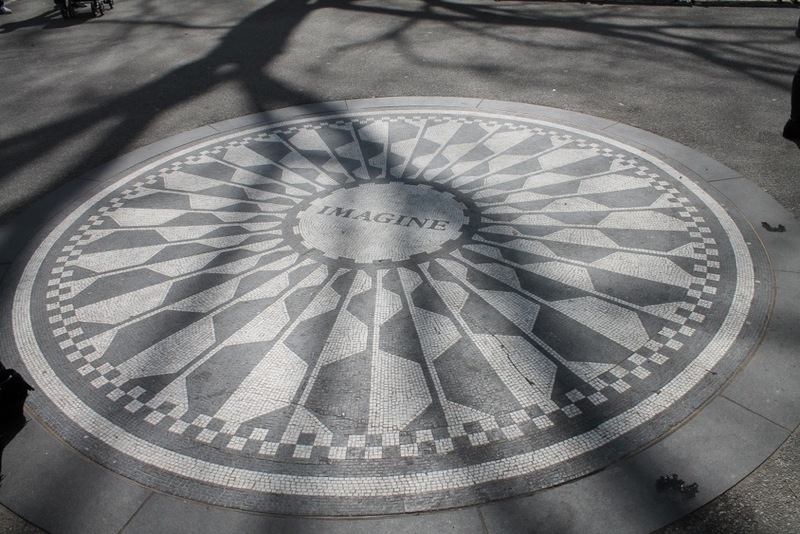 We went to see the Dakota building and the Imagine sign at strawberry fields. From there we walked to the big fountain across the famous boat house and from there we continued to the reservoir. 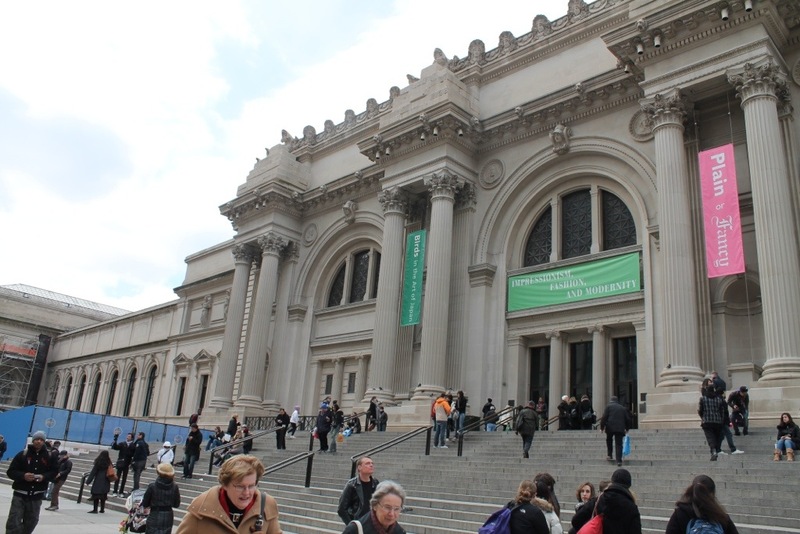 At the reservoir, we got out of he park to the Upper East Side and we went back downtown, while we past the Metropolitan Museum of Art, the Central Park Zoo and so we ended back at the shopping part of 5th Avenue. 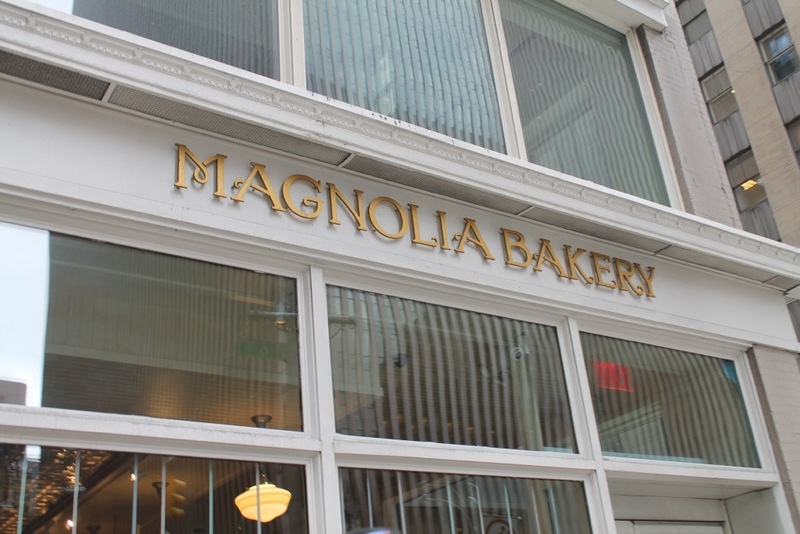 We ended up doing a little shopping, after which we went to Magnolia Bakery to try one of their delicious cupcakes! And oh my, they were so delicious! 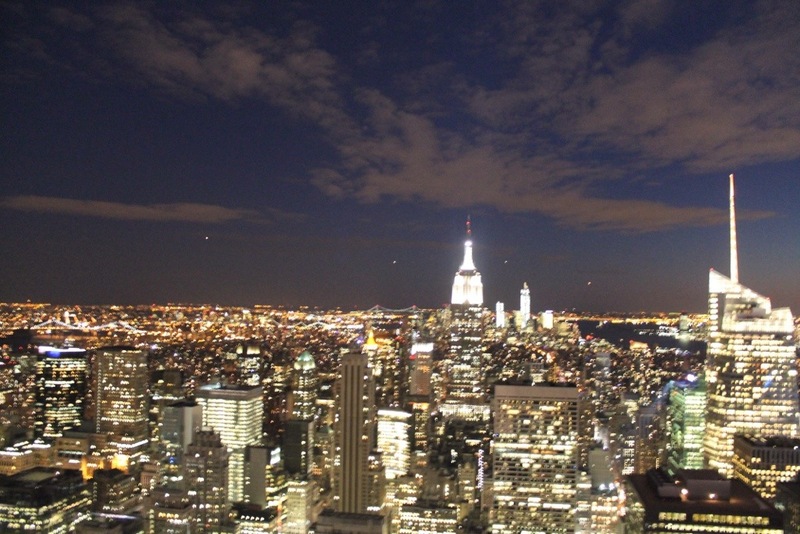 And then, on to the last thing of the day we did… We went on Top of the Rock (The Rockefeller Observation Deck)! Here we had an amazing view over the city. We went around 7pm so we still had some daylight, but it was going to get dark, because we wanted to experience it both in the daylight as in the dark. I have to say that this was one of the most AMAZING experiences of the trip! 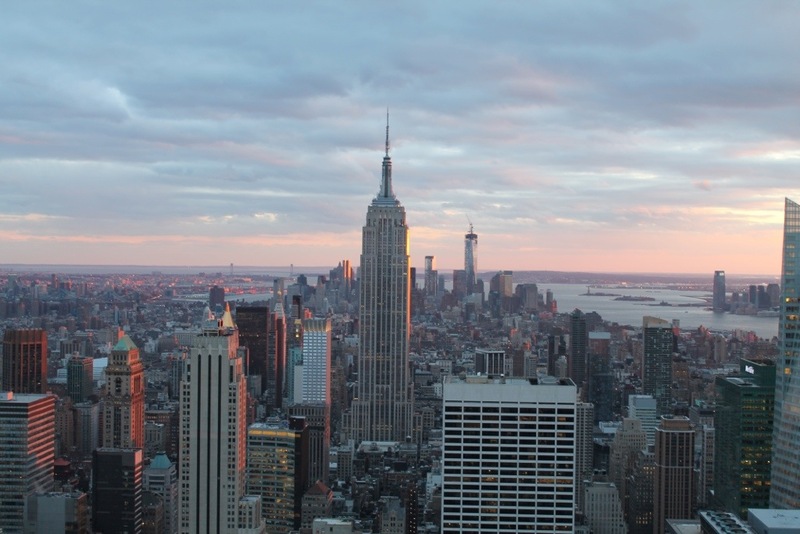 The reason we chose the Rockefeller Center in stead of the Empire State Building is because from the Rockefeller Center you can see the Empire State Building. Which you obviously can’t when you are standing on top of it. 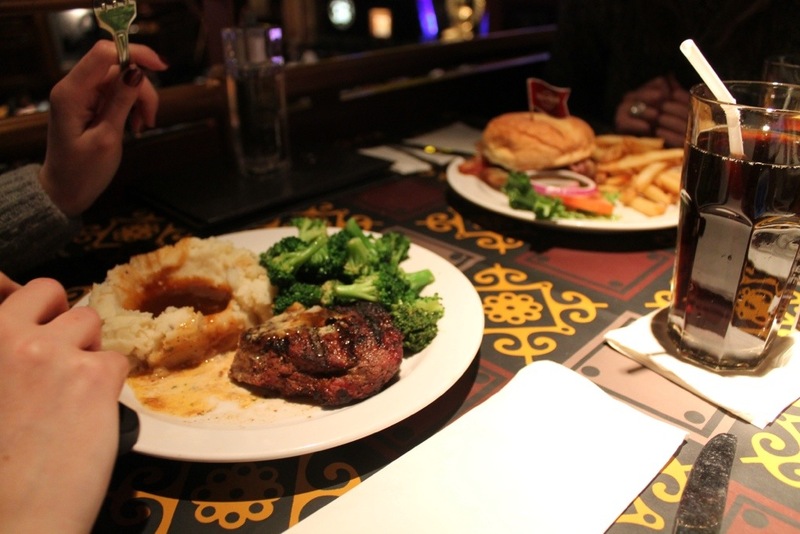 After this amazing experience we went to the Hard Rock Cafe for dinner. And then we went back to our hotel to start a bit of our packing because we had to leave in the afternoon the next day (sad face). The last day we did the final packing and went to Starbucks for breakfast and then we went to Times Square for the last time to do a little bit of last-minute shopping for some souvenirs and stuff like that. Around 2pm we went back to our hotel to get our suitcases and leave for the airport because our flight back home was at 6pm. 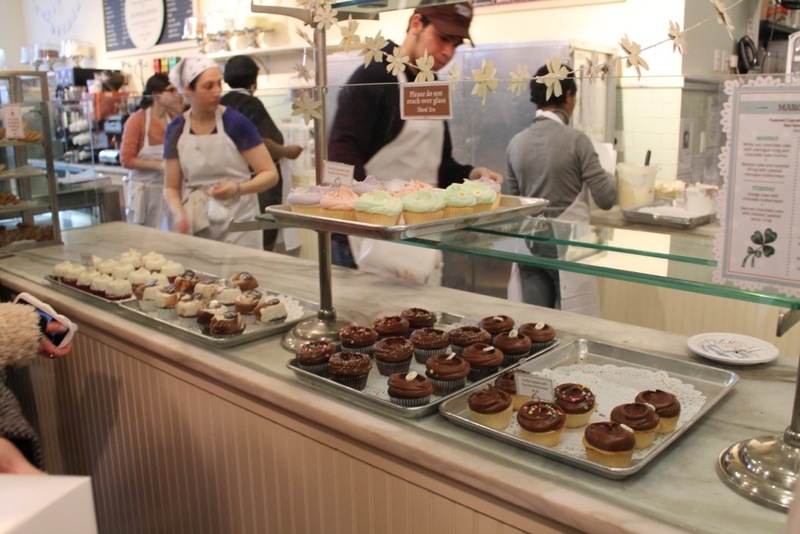 Hope you enjoyed reading this New York story. And if you go there some time I hope you may have an amazing trip as I had! 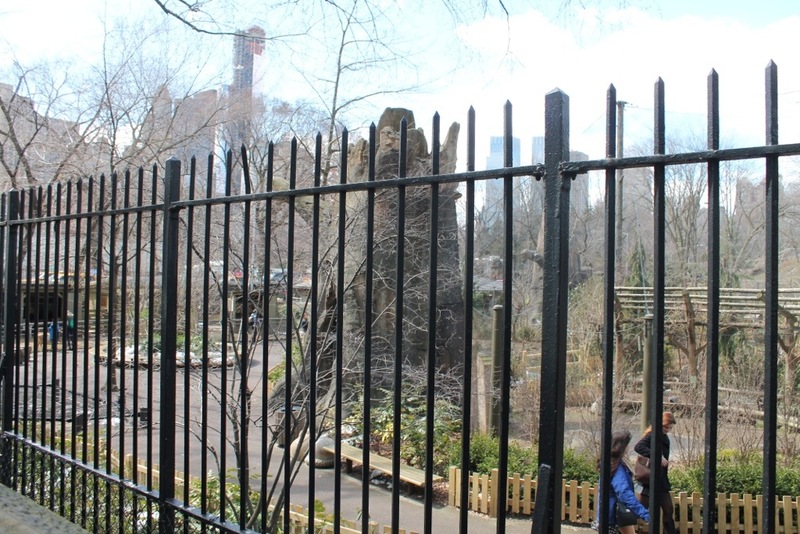 This entry was posted in Traveling and tagged Central Park, central park zoo, empire state building, High Line, magnolia bakery, New York, rockefeller center, rockefeller observation deck, Top of the Rock by missnathaliexo. Bookmark the permalink.